We may have thought spring was around the corner, but as I write this it’s again snowing and cold outside. Hopefully by the time you read this, the groundhog will not have seen his shadow and we will have an early spring! We had a busy beginning to the year with our semi-annual strategic planning day and our first Professional Development Summit of the year. Thank you to the members who took time out of their own busy schedules to attend our planning day and provide input and thought leadership into our strategic plan. It’s always a great opportunity for our members to see the inner-workings of the board and we appreciate your attendance. Additionally, our first PDS of the year was January 31 and was focused on what to do an in an Active Shooter situation and how to handle the messaging after a crisis. Though they are both situations we all hope to never be in, those who attended are now better equipped to handle a crisis, should one arrive. We also were a sponsor for the WISHRM Day on the Hill in January. I also want to give special recognition to Jeff Palkowski, our Director of Government Affairs. He put tremendous effort into planning and advertising the day, which was a great success. If you have not attended in the past, I encourage you to plan on attending next year. This is also the time of year where we start focusing on our succession plan for our next term starting in July. While we have a fantastic board and many plan on staying in their role we will always have at least one opening on the board as we fill the role of President-Elect. We have found it works best to grow and promote from within. Each year, we look at our current chairs, coordinators and active members who might be interested in taking that next step. These individuals truly see the benefits of what they are doing by volunteering and want to continue to give back to the chapter and the HR profession. They see all of the great things we as a chapter are doing and want to be a part of it. I am continually amazed by all the remarkable volunteers that we have in GMA SHRM. It is truly one of the core reasons we are as successful as a chapter and one that other chapters look to for guidance and leadership. Our volunteers have true passion for their profession, our chapter and our community. If you are ever interested in volunteering, but just don’t know how to get started, please reach out to me or any board member and we will be happy to find your perfect role. If you are contemplating that next role as a board member, please reach out to me or any board member and have a “no-strings attached” conversation on what involvement at the board level entails. Finally, I strongly encourage you to sign up for our first networking event of 2017. On February 23, we will be hosting a networking event at Wisconsin Brewing Company. For just $10, you can attend a tasting, brewery tour and network with members. I look forward to seeing you there! With the inauguration of Donald J. Trump as the 45th president on January 20, 2017, as HR professionals we can certainly expect a number of changes which will likely impact the human resources industry. What these changes are and when they will be implemented is open for discussion and something to closely watch. Other areas that were not specifically addressed by the SHRM article include: final resolution of the Fair Labor Standards Act salary threshold (which as of this writing, remains on hold) as well as potential changes with immigration policies that may impact employers. Your GMA SHRM Government Affairs Committee will continue to monitor legislative updates at the state and federal levels as well as updates from the executive and judicial branches of government, and will share information as it becomes available. As unemployment declines, companies in every industry are revisiting recruitment and talent retention strategies. Reports released earlier this month revealed that Wisconsin unemployment rates have declined to pre- recession levels. According to the Bureau of Labor Statistics, the unemployment rate in Wisconsin fell to 4.2 percent in July 2016. It decreased even lower, to 3.0 percent in Dane County, home of the state’s capital. Celebration in the progressive cheese-state is tepid, as wage growth (or lack thereof) and economic inequality persist as major issues for the collective workforce. Consequently, employers across Wisconsin are facing the challenges of a tight labor market: namely, recruiting and talent retention. According to The QTI Group’s 2016 Survey of Top HR Challenges, 88 percent of human resources executives said recruiting and retention are significant organizational challenges. To put the statistics into perspective, today there are just 1.8 unemployed individuals for each job opening. This is a sharp contrast from mid-2009, when there were seven unemployed individuals per job opening. These statistics are absent key employment factors such as basic qualifications, location, and total rewards. Delayed (yet inevitable) retirement of Baby Boomers, the gig economy, and real projections of job growth further complicate the process of attracting, keeping, and developing employees. “The market presents challenges in recruitment, but it is also presents challenges in retention; companies have to work harder to keep their A-players,” Balsiger continued. So, how do companies attract and retain top-talent? The QTI Group suggests a blend of both tactical modernizations to the recruitment process as well as taking a total rewards, approach to the employee value proposition, including highlighting both culture and employment brand. “If you’re using the same recruitment and retention strategies you used three to five years ago, they’re not going to work for the next three to five years,” Balsiger said. A recent Gallup study found that companies with high levels of engagement typically experience increases in profitability (21 percent), productivity (20 percent), and customer loyalty (10 percent) and decreases in safety incidents (70 percent), absenteeism (41 percent), and turnover (24 percent). “The success of your organization really depends on the quality of the motivation of your employees – they’re the ones running the engine,” Turnquist said. Theresa Balsiger and Antonia Turnquist recently addressed attendees of the Insurance Accounting & Systems Association (Wisconsin Chapter) 2016 Fall Conference. Their session, titled Recruiting & Engagement Strategies in a Tight Labor Market offered attendees key insight into the intricacies of the evolving employment base, viable recruiting and engagement strategies, and expert advice on custom benefits management. The benefits of well-constructed talent strategy including recruiting, onboarding, and employee engagement and retention are clear, but the successful execution of a new talent strategy can be difficult. Globalization and technology have greatly impacted the US economy and many analysts believe our nation is in uncharted territory. QTI’s team of experienced Recruiters and Compensation and HR Consultants are ready to guide you through the process and help you to recruit and retain top talent that will help drive business results. For more information about how The QTI Group can help you with your human resources needs, call 608.257.1057 or email qti@qtigroup.com. You have great company culture. You wear jeans to work on Fridays, you have a corporate mentoring program, and you even dedicate a day each year to volunteering. Clearly, you care about culture. But, if you take a deeper look, I bet you’ll be surprised to find that you’re killing your company culture in ways that no amount of volunteer days can offset. Below, 6 ways to tell if you’re killing your company culture without even knowing it. All decisions go through one person. A lot of people within your organization talk about decisions. And attend meetings about decisions. And prepare analyses about decisions. You may even hold collaborative brainstorming sessions about decisions where everyone does have a voice - at least during that one hour meeting. But at the end of the day, decisions of nearly all shapes and sizes still go through a single upward channel. This may happen in the form of sign-offs, approvals, request forms, or the dreaded “submit it and wait to take action until we hear back” approach. Which, sometimes (or often), is never. A few people manage everyone in your organization. You have team sizes of 10, 12, 15, or even 20+ people. All team members are directly managed by a very small leadership team. These leaders are stretched thin and short on time - which means that 1:1 meetings with team members rarely, if ever, take place. It’s common to hear phrases from team members such as “my manager is really busy…….” and for managers to be living in a whirlwind. Not meeting with team members becomes excusable because of “how busy” all of the managers are and because it’s “nearly impossible” to meet with 15 people regularly. You don't promote your high-potential, high performers. You have rock stars on your team who you haven’t promoted to a leadership role because they “lack management experience,” “have only been here for a couple years,” or “have this one small area to continue working on.” They are somehow slightly imperfect human beings and therefore will never be a good manager. As a result, #2 continues to occur; meanwhile the rock stars become frustrated, bored, or disengaged - until eventually they leave, citing something like "moving closer to home" or "exploring a new opportunity" as their reason. You don’t separate from toxic team members. Team members who kill culture through negativity, gossip, inappropriate behavior, or drama who do not change their behavior despite ongoing feedback are still on your team. Due to fear of losing their product knowledge or company history, they are allowed to stay. Eventually, their behavior becomes accepted (it’s always been this way, after all…). Maybe it even begins to trickle out to other people or areas. You have a culture of “yes.” In meetings, there is little truly critical discussion about issues, and few people use full permission to challenge the primary decision maker (see #1). Healthy debate is seen as “challenging the expert/boss” and it’s not encouraged - it might even be discouraged in either an explicit or subtle way. People who raise good, constructive, yet critical questions are often labeled “difficult,” “critical” or even “negative” or (the worst) “not a team player.” So, to avoid gaining such titles, people generally agree with whatever direction is being proposed - even if it’s the wrong one. People gossip. The real dialogue within your organization generally takes place after the meetings - in the hallways, in the privacy of your office, or in a hushed tone while microwaving lunch in the kitchen. This is generally where the critical questions are raised and when the follow-up conversation occurs...but now, laced with a new tone of frustration or even fear since it wasn't discussed in the way it needed to be during the meeting. Do any of these things sound familiar in your organization? If so, awareness is the first step toward change. To talk more about how to create change and revive your company culture in the areas you’ve accidentally killed it off, drop me a note at sarah@zingcoaching.com. Join our next committee meeting via telephone conference! Contact Brittany Hanson (brittanyh@seniorhelpers.com) for details – all interested GMA SHRM members are welcome! Announcing a new partnership between GMA SHRM and the Dane County Job Center! The WRDC is partnering with the Dane County Job Center to help support job readiness activities surrounding the twice a year Dane County Regional Job Fairs. These job fairs are held in the Spring and Fall. The spring job fair is March 22 from Noon-5:00 at the Alliant Energy Center. There are many ways to volunteer! Checkout our social media postings over the next few weeks to find out how to volunteer for pre-job fair workshops like Job Fair Prep, Resume Builder, Interviewing Skills and Dress to Impress! You can also volunteer the day of the Job Fair (even while you have a booth at the job fair) in the Job Seeker Preparation Area. Pay attention to our social media posts for more information! Recently ran across emtrain through a LinkedIn post. They offer some interesting free webinars on HR, compliance, and diversity topics. Check them out - http://emtrain.com/v1/webinars. Check them out! Looking for a larger candidate pool? Think outside the typical. What related positions might be a fit for the skill sets and behaviors that you are looking for? What local organizations might attract the candidates you want to attract? Could you start an internship or apprenticeship program to grow your own talent? How can you get more of the organization involved in attracting talent? Who are your best performers? What is their background? Are they members of any clubs or organizations that might be a good talent pool? With unemployment in Dane County at incredible lows (2.8% to be more specific), finding talent is harder than ever. Expanding the avenues you use to attract talent will take more up front effort and will pay back dividends in the future. What is the focus of your position? Human Resource Generalist. I am involved in all aspects of HR including recruitment and selection, compensation and pay practices, employee benefits, performance management, employee consultation, human resource research and reporting, compliance, and employee services. Which of your career accomplishments makes you proudest? I am most proud of my ability to help employees. There are some aspects of HR ( e.g. benefits) that can be very confusing to employees and difficult to understand if you don’t deal with them day in and day out. I love it when employees come to see me to ask a question about their paycheck, their benefit status, or even if I know of various resources that may be able to assist them with an issue they may be having. What is the best advice you’ve ever received? “People will forget what you said. People will forget what you did. But people will never forget how you made them feel.” This quote from Maya Angelou is how I try to live my life every day and make everyone feel like they matter. I never want anyone to feel as though they or their opinion doesn’t matter. 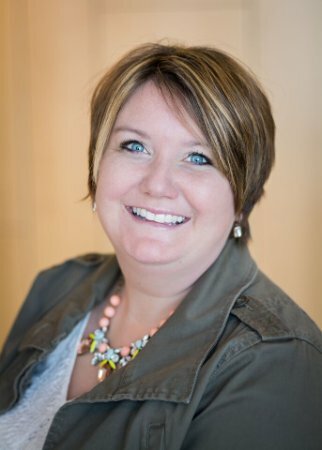 Why did you decide to join GMA SHRM? GMA SHRM has been a part of my life since before I began my HR career. From way back in my college years a student at University of Wisconsin-Whitewater, I was involved in SHRM, and was a student member of GMA SHRM. I have kept up my membership ever since during my working years and have continued to do so due to the professional development, networking, and other opportunities it affords. Having an HR resource is incredibly valuable in this industry and I value what GMA SHRM provides for its members. I am currently on the Workforce Readiness and Diversity Committee. Also, I am the current Secretary/Treasurer on the GMA SHRM Board. Both positions are very rewarding in different ways. I started volunteering with the WFRD committee when I first joined GMA SHRM. It’s great to go into high schools, job agencies and help with Job Boot Camp to conduct mock interviews, resume review and give HR advice. Volunteering in the community is important to me because I can improve the place I live and work in. Then a year ago I became Secretary/Treasurer and it has allowed me to help manage a large and thriving non-profit. It is awesome to go to conferences, represent GMA SHRM and see how innovative we are compared to other chapters our size because we are doing great things. There is something for everyone! Whether you have a small amount of time to donate, or however large, there is an opportunity for you. 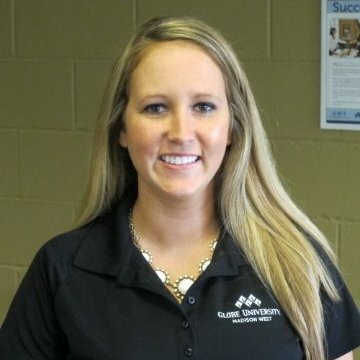 Volunteering is how I made great connections and those connections led me to my current position in HR. Sometimes it’s not what you know, but who you know. Giving back to the community is very rewarding and knowing that you are making a difference is satisfying. Also, I have created a close group of HR colleagues that I can ask questions to and call on for help. ﻿GMA SHRM welcomes the following members who joined our chapter in December 2016! Kristi Hittner, SHRM-CP United Vaccines, Inc.
Amie Hunt Mead & Hunt, Inc.